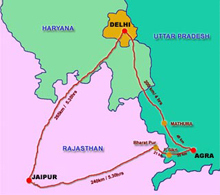 Day 03: Drive to Agra. Afternoon visit the world famous Taj Mahal & Agra Fort. Day 04: Morning drive to Jaipur enroute visiting Fatehpur Sikri. Day 06: Morning free to explore the local bazaars. Afternoon drive back to Delhi. Day 07: Morning free to relax at the hotel. Late evening transfer to International Airport for your flight back home. Day 05: Morning, drive to Kalka in tome to connect the train for Delhi, transfer to the International airport to connect the onward flight back home. Day 04: Morning, transfer to the airport for Delhi and transfer to the International terminal to board the onward flight back home. Delhi the capital of India, is a fascinating city with complexities and contradictions, beauty and dynamism, where the past co-exists with the present. 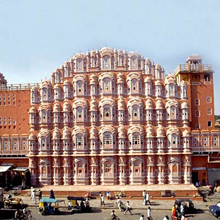 Many dynasties ruled from here and the city is rich in the architecture of its monuments. 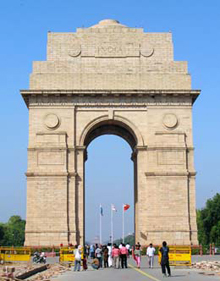 Delhi, a metropolis located on the banks of the river Yamuna, has seen the rise and fall of successive cities during the last five millennia. 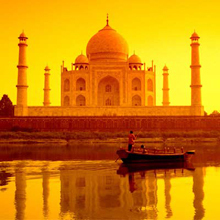 Agra is famous as the home to one of the Seven Wonders of the World - the Taj Mahal. The architectural splendor of the mausoleums, the fort and the palaces in Agra are a vivid reminder of the opulence of the legendary Mughal Empire. Agra was their capital for nearly a hundred years from 1564. A pleasant town, with a comparatively easy pace, Agra is known for its superb inlay work on marble and soapstone, by artisans who are hereditary craft persons. Carpets, gold thread embroidery and leather shoes are other items of interest.